We posted a blog last week highlighting the valuable conversations students had with Board members during Proctor's recent Trustee weekend. 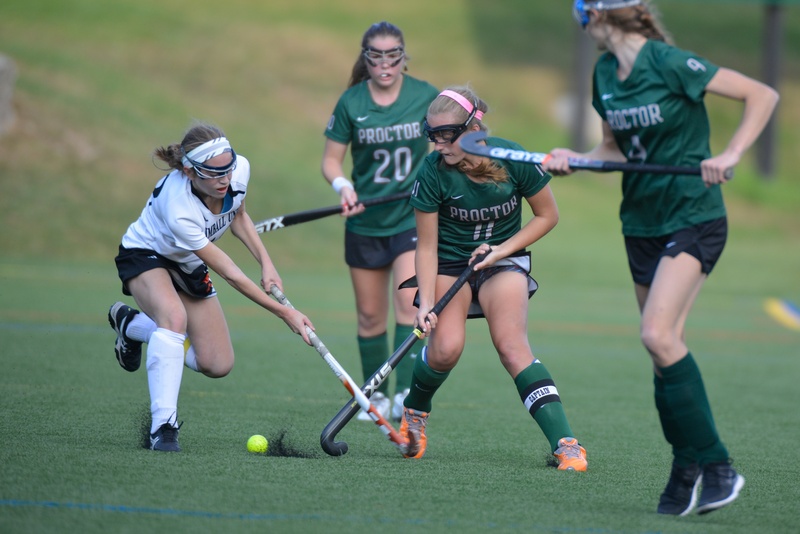 The text that follows in this post was shared as an unprompted thank you note and reflection by Chandler Devaney '17 to trustees and coaches who attended a forum on the role athletics plays at Proctor Saturday evening. As I sit here and contemplate what homework assignment to complete next, I find myself much more intrigued in the conversation that took place earlier in the evening, and therefore my decision was immediately apparent, I'll do homework later and write this email now. My hope is that you can forward this message to the trustees and coaches that were also involved in tonight's forum. For me, athletics has been, and always will be, the stepping stone to something much greater; whether it be Proctor, the United States Air Force Academy where I have comitted to play lacrosse, or my future profession. However, throughout my time here at Proctor, I've realized that athletics isn't everything. I have found that Proctor's true DNA is formed around the idea that people are not skilled at just one thing but several. Similarly, we do not have to be skilled at something to find a true passion for it. 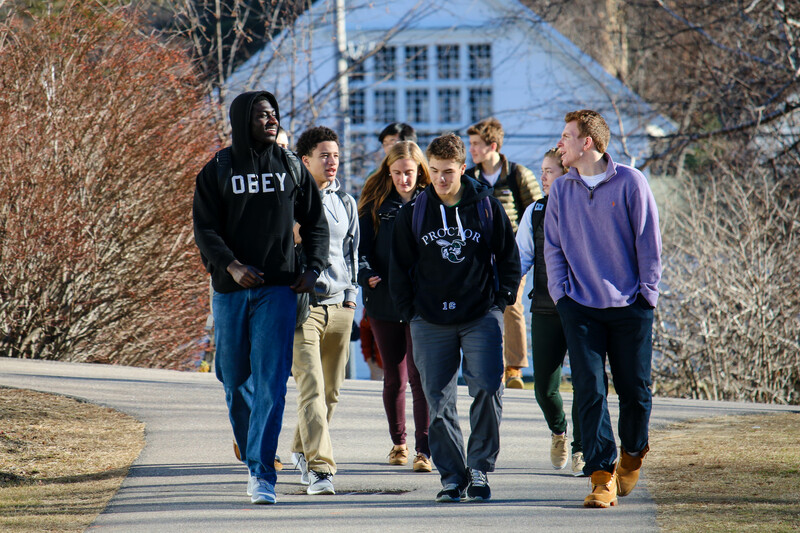 I think that it will be important in the continued evolution of Proctor that this DNA remains central to why each student decides to attend Proctor. I'd like to give a little bit more of a backstory of how I became a student at Proctor. I looked at schools that were unique and separate from each other in quite a few ways. My final three came down to one school focused heavily on athleticsl, one school focused heavily on academics, and obviously, Proctor. If I wanted to further my education at a school that focused almost solely on athletics, then I would have decided to attend the first. If I wanted my high school experience to be almost solely devoted to academics, I would have gone to the second. I saw significant benefits to both, but what Proctor offered me was an excellent mixture of the two and so much more and it has been one of the best decisions of my young life. However, what I've also come to realize the many branches of Proctor are what make our school so special, and that each of these branches are intertwined in their shared mission. I came into Proctor as a one sport athlete, but being a one sport athlete doesn't mean I couldn't contribute to more than that one sport. 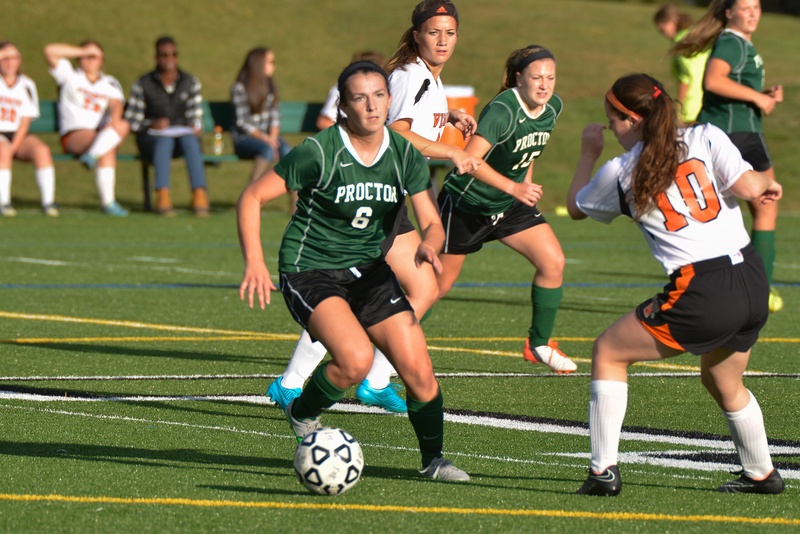 However, in order to contribute to more than just one sport or more that just one extra curricular program here at Proctor, you must first experience the "Proctor Magic". Throughout my three years here at Proctor I've played football, which I was unsure about coming into Proctor, I've played jv hockey, jv basketball, managed varsity hockey and plan to attend European Art Classroom next winter. I've spent time working in the tech lab, working in Slocumb Hall, and learning the art of craftsmanship in the wood shop. But remember, I came into this school as a one sport athlete. Being exposed to this "Proctor Magic" has done wonders for my life, as I've discovered passions I would have never thought were appealing prior to coming to Proctor. 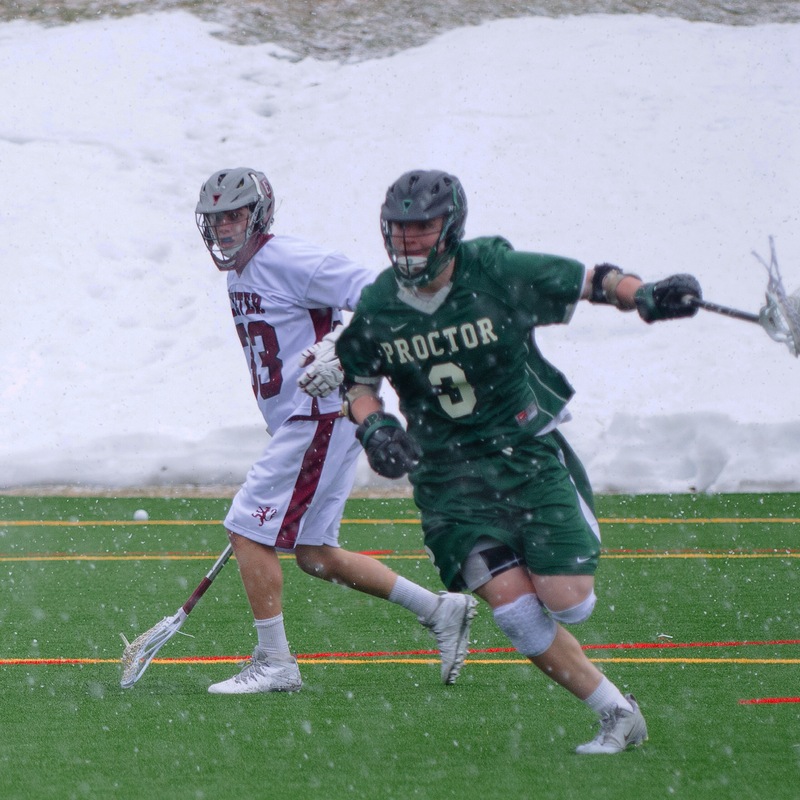 There are many more examples of success stories here at Proctor written by two or three sport athletes, however, for me, the "Proctor Magic" is especially powerful because I have repeatedly been encouraged by my teachers and coaches to expand my view of myself. 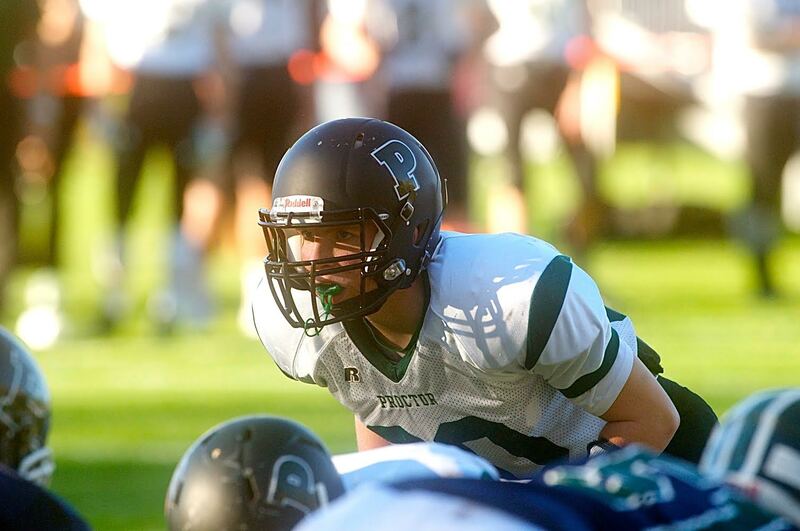 I may have entered Proctor as a one-sport athlete, but I am leaving so much more and that is the power of Proctor.